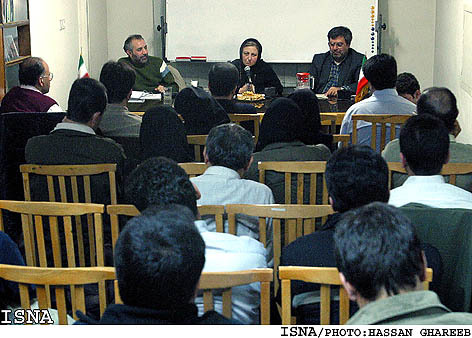 Tehran, Jan 4, IRNA -- Tehran's Shahid Beheshti University sponsored a gathering titled 'Aftermaths of UN Human RIghts Violation Resolution Against Iran' on Monday. Speakers at the gathering included 2003 Nobel Peace Prize laureate and Head of Center for Defenders of Human Rights Shirin Ebadi and Head of Faculty of UNESCO Human Rights at Shahid Beheshti University Amir Arjomand. During the gathering, cosponsored by Office to Foster Unity's Human Rights Department, Ms. Ebadi initially briefed the audience on the United Nations' human rights record. She said, "During the first years after the victory of the Islamic Revolution, Iran was repeatedly condemned for violation of the human rights, and that was why the United Nations appointed a permanent Human rights observer for Iran. Ebadi added, "Reports presented by UN human rights observers were always condemned by the government, and eventually these observers left Iran." 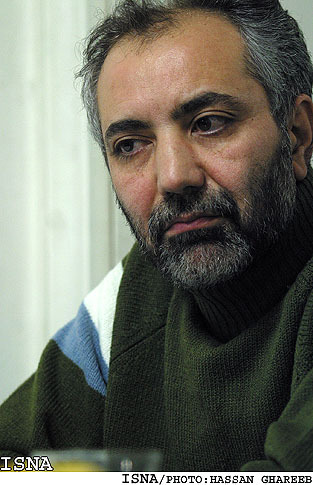 The head of Center for Defenders of Human Rights said, "During the era that followed, that is after May 23, 1997, international pressure on the one hand, and President Khatami's cabinet's favorable approach on the other hand, improved the condition of human rights in Iran, which was regarded as a pleasant achievement for the president." 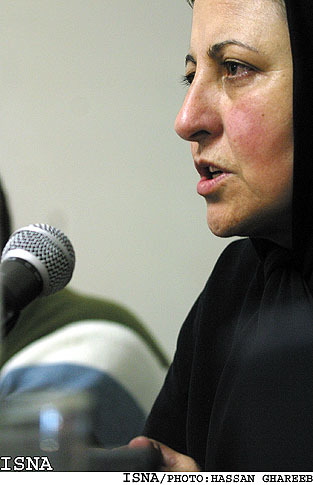 Ebadi expressed regret that the favorable trend was only temporary, arguing, "After Zahra Kazemi's death the international pressure against Iran on the need to observe the human rights mounted once again and Iran was accused of many violations at international communities, and a number of resolutions were issued gainst the Islamic Republic." Referring to the reactions often made by Iran regarding resolutions on violation of human rights here, Ebadi said, "Iran has argued firstly that the human rights observers' reports on Iran were biassed and impartiality had not been observed by them, because violations of human rights had also occurred elsewhere in the world, but only the slamic Iran had been condemned." She added, "Iran's other typical objection has been based on legality of the the punishments referred to by the human rights observers, arguing that no violation of laws had occurred." The Nobel Peace Prize Laureate said, "The first reasoning is quite irrational, because from the legal point of the view no regime can violate the human rights resorting to the excuse that some other regimes, too, are doing so. Such a reasoning is legally null and void." She added, "The other reason, that is quite often expressed by the Islamic Republic, leads to another question, that is, 'To what extent can the human rights be harmonized with national governance?" Ebadi stressed, "The human rights are above the constitutions of different countries and no country can resort to its civil laws to justify its violations of the human rights, because that bears no weigh." Emphasizing that the human rights are the essence of the societies' public demand, she emphasized, "Human rights are based on a culture, and reflect the public demand of the people." Ebadi said that the Islamic Republic's argument about "relativity of matters in cultural field" in dealing with the human rights issue has been aimed at diverting the international community's attention from the matter, which is quite impossible." Shahid Beheshti University professor Dr. Amir Arjomand, too, focussed on aftermaths of the UN General Assembly's recent human rights resolution against Iran. He said, "Unlike the previous cases when the resolutions were passed by the UN Human Rights Commission, this time it was directly proposed and passed by the General Assembly." The head of Faculty of UNESCO Human Rights at Shahid Beheshti University reiterated, "Discerning the effects and aftermaths of this resolution depends on understanding the changing international relations, whose axis is observing the human rights." Dr. Arjomand said, "A new world order is taking shape, whose core is abiding by the human rights." Referring to the major characteristic of the emerging new world order, he said, "Under the new conditions of the international community, the violation of human rights equals violation of the obligatory international laws, and no country is permitted to do so." The human rights professor reiterated, "The international public order is above the will of those who have to abide by it, and under such conditions the governments are not the sole representatives of nations to be able to define the human rights to their liking, relying on their own special laws." Referring to the situation after the passage of the resolution in question, he said, "This resolution was the first step aimed at obliging the governments to yield to the emerging new world order, calling upon the government and others under the international laws to abide by that order's demands." Iran's foreign ministry dubbed United Nations General Assembly criticism over its human rights record as "politically motivated" and based on unreliable sources, on december 22. "The resolution is not documented and is far from realities in Iran, being drafted from unreliable, distorted and untruthful sources, thus invalid, politically motivated and unreal," ministry spokesman Hamid Reza Asefi said. The General Assembly on Monday, December 20th criticised the human rights situation in Iran in a relatively close vote that lashed out at restrictions on free speech under Tehran's Islamic regime. The assembly, which groups all 191 UN member states, approved the resolution 71-54 with 55 abstentions. Resolutions adopted by the assembly are not legally binding but do reflect international opinion. The measure was sponsored by Canada, whose relations with Iran have taken a turn for the worse since Iranian-Canadian photographer Zahra Kazemi died while in custody in Iran last year. "The different views and the low voter turnout show the reality that a large majority of countries are against political misuse of human rights as a tool," said Asefi. "The nonconstructive approach of the initiators of the resolution is a completely political move, aimed at raising hue and cry against Iran." The resolution which was co-sponsored by 33 other nations including Tehran's arch-foes Israel and the United States said member states had "serious concern" over a long list of rights abuses.